At Loeb Orthodontics, LLC, we are proud to help patients of all ages throughout Oakland, NJ and the surrounding areas improve their smiles through high-quality orthodontic treatment. As leading orthodontists serving the Oakland area, Drs. Allison and Robert Loeb uphold the highest standard of quality in the treatment they provide. We offer a wide range of treatment options to suit the needs of our patients. 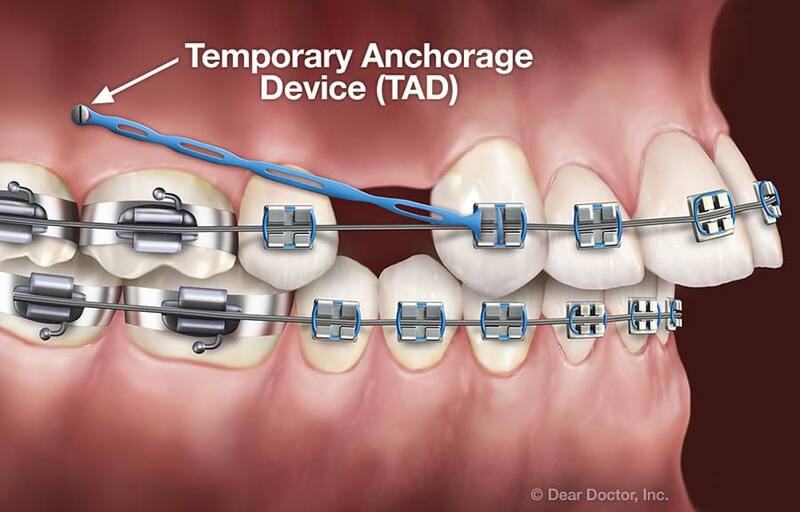 For patients requiring extensive orthodontic correction, temporary anchorage devices (TADs) can prevent the need for external headgear. But in order to work, that force needs a fixed point to push against. For example, imagine trying to move the stick while you're floating free in the water: Not so easy! But with two feet firmly planted in the sand, you can do it. When possible, orthodontists use the back teeth as an anchor — but sometimes, cumbersome headgear may be required to provide the necessary anchorage. In many cases, using TADs can change that. For patients that require them, TADs offer a versatile and convenient treatment method that can prevent the need for external headgear. If you are interested in learning more about TADs or feel you may benefit from orthodontic treatment, our Oakland, NJ orthodontists would love to help you. Request an appointment online to schedule a consultation at our Oakland orthodontic office. We look forward to hearing from you and helping you improve your smile through convenient orthodontic treatment.